How can I reduce the size of the matrix array such that it has the same size as the matrix M? I tried scale=0.5 which had no effect. 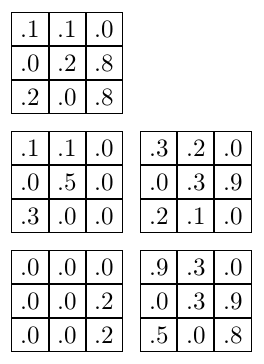 I want to reduce the size only of the matrix array and not of the entire TikZ picture. How do I encircle a partial table in tikz? 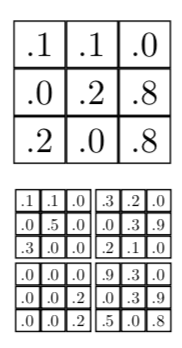 How to overwrite a node setting in Tikz to align Tikz pictures to nodes?